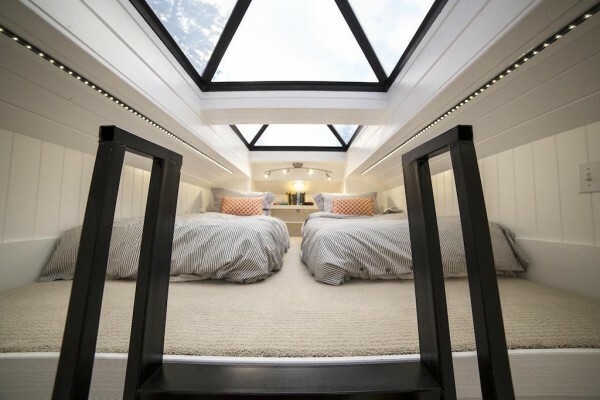 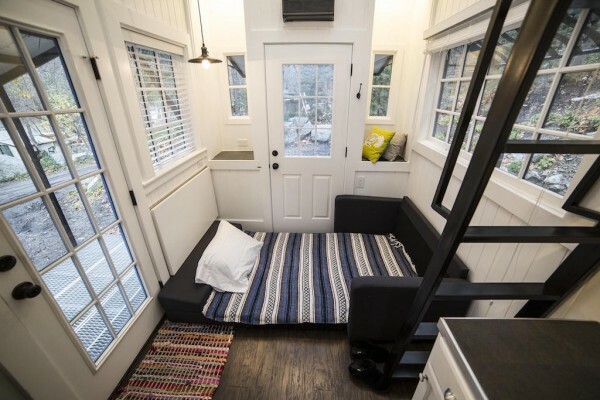 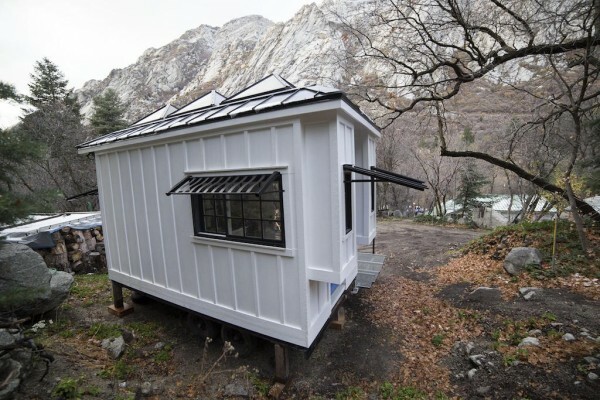 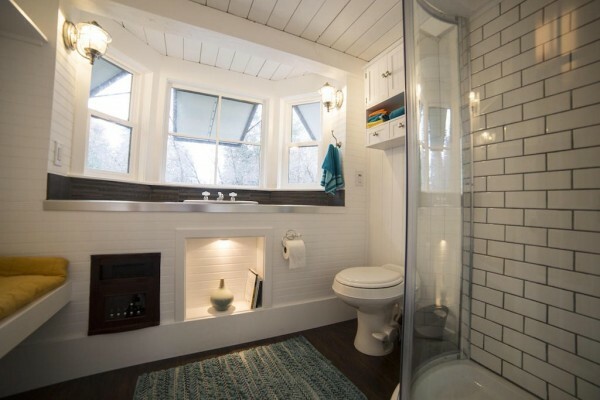 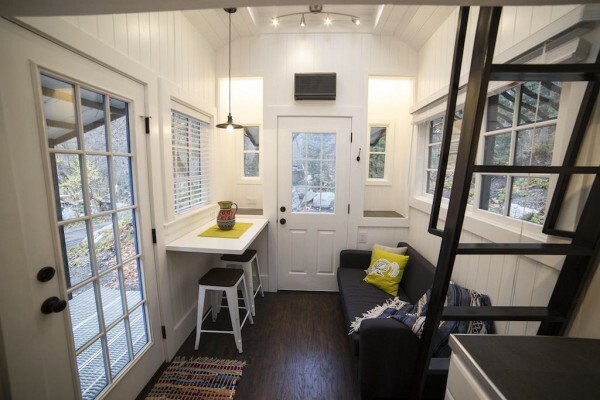 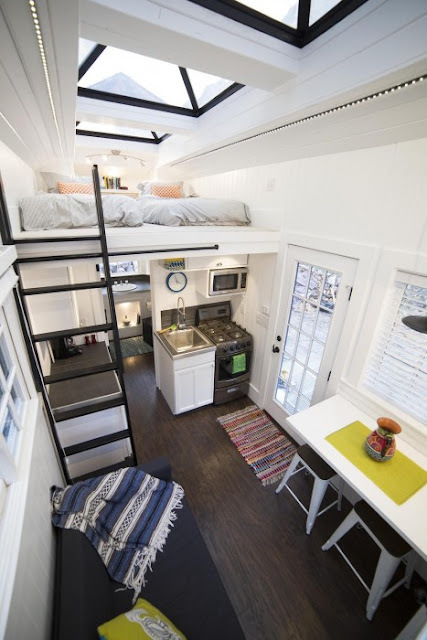 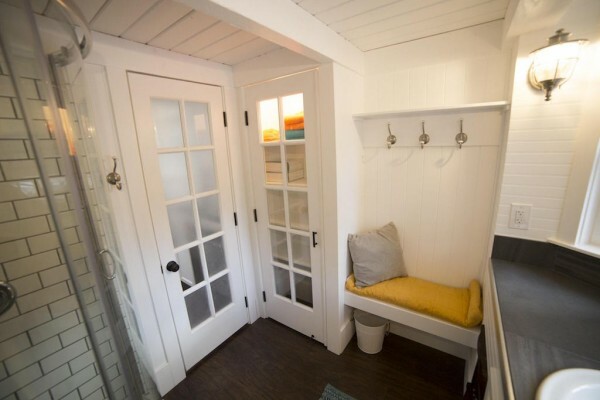 Utah resident, Patrick and Sara Romero, built this beautiful 192 sq ft tiny house as a second property to generate some extra income for his family. 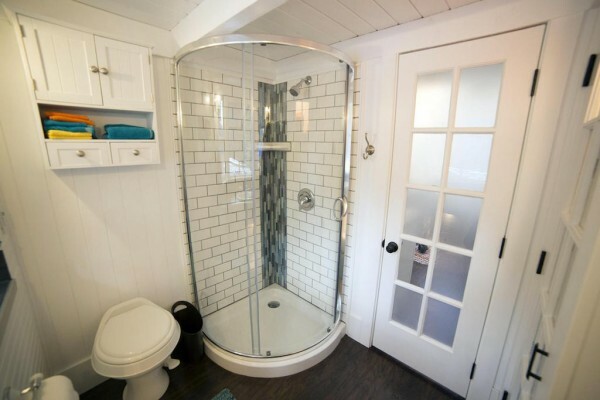 The couple worked on the home with Sarah's father and ultimately created a bright and beautiful home. 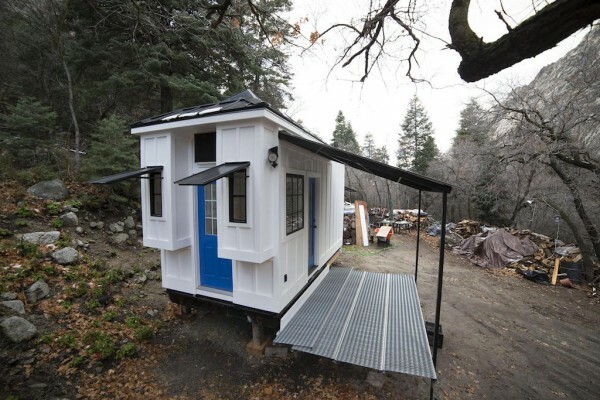 There's even a covered front porch!